The Mobile, Ala., Police Department on Friday held its promotion ceremony, one that must have seemed like any other ceremony in the department’s history. 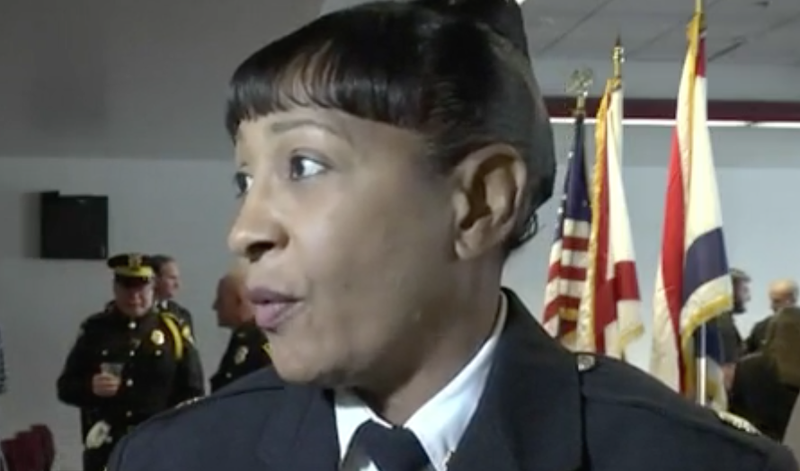 However, one promotion did, in fact, make history, as Bareneise Dixon, a 28-year law-enforcement veteran, became the first African-American female major in the department. “I look forward to serving in my capacity as commander over special operations, so thank you,” Dixon, who was promoted from captain to major, told local news station WKRG. Dixon gave credit to those who came before her for helping her get as far as she has in her career. “I also have to acknowledge the efforts of those that paved the way in order for me to obtain this rank. You don’t get where you are by yourself. I’ve been honored to work with a lot of people in the Mobile Police Department, some that are still here, some that are not here,” she added. The officer called public service “a passion” of hers and recalled her beginnings working as a police operator in Saraland, Ala. But she has definitely come a long way since then, and in return is definitely chipping away at the path for those who may come after her.